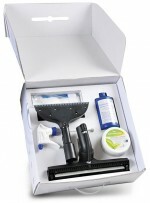 This spray extraction kit ensures an especially high degree of cleaning for strongly soiled upholstery or carpets. 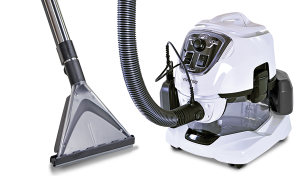 The cleaning concentrate is sprayed onto the upholstery or carpet under high pressure and binds the dirt. The large amount of circulating air then reabsorbs the moisture together with the dirt. 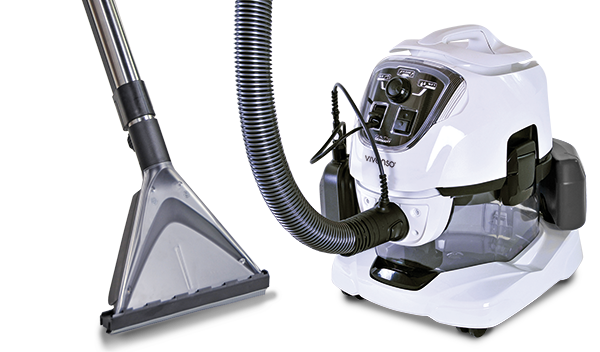 In this way, most tough stains and stubborn dirt can be dissolved and removed.